I decided to include this chapter about abuse because most women who feel “less than,” most women who do not feel whole, radiant, or supremely confident are being abused. Are you? I am going to describe the most common forms of abuse, and then I am going to ask you to write down how this may pertain to you. The writing will greatly help you see what may be blocking you from coming into wholeness. The abusive words and behaviors that come from another may be undermining you more than you realize. Perhaps they are not coming to you now, but they might have in the past. Perhaps abuse is imposed on you every day, and you accept it because you believe this is just the way the imposer is; you keep the status quo out of a deep fear of being alone, without a partner, or without the material comfort or convenience you may receive from the imposer. But abuse in all forms erodes your self-worth and confidence. It is poison to radiance, toxic to wholeness, and lethal to supreme confidence. Here are the signs of abuse. If they pertain to you, just know one thing: this is your opportunity to spot the signs and learn how to get out of the abuse. I am going to guide you step by step so you can see how all forms of abuse can only undermine the wholeness, radiance, and supreme confidence you really want to feel. It is my deepest hope that you not only embrace what I am about to tell you, but that you also find the courage to take personal responsibility for your well-being on all levels. Let’s say you’ve put on a few pounds, or even 20 or 30, and your partner makes a snide remark: “Putting on some extra weight there, Hon; better get to the gym.” I call that remark verbal abuse. It does not feel good. It feels demeaning. When a remark feels demeaning, it is demeaning. And this is verbal abuse. Do not make excuses for observations. The one you love can “observe” that you are getting greyer, more wrinkled, less toned. The list could go on. What matters is that you deserve to have someone in your life who loves and accepts you just as you are, weight, grey hair, wrinkles, and all. Now, suppose you say, “Boy, I’m really gaining weight.” And your partner answers, “Yep, but we all do sometimes. I love you for who you are, not the number on the scale.” That is an unconditionally loving partner. Do you see the difference? I could write an entire book about abuse, but I want to get straight to the point so you notice what abuse is. Verbal abuse consists of comments that cause you to feel “less than.” They cause you to have that sinking feeling in your stomach, that feeling of betrayal, hurt, depression, sadness, and grief. When you notice that you are being abused–verbally or otherwise–you, my dear sister, have two choices: (1) you can keep allowing it to happen, which will cause you to feel even less than you have ever felt in the past; or (2) you can ask the abusive person to completely stop. If he or she does stop, this is fantastic. If he or she doesn’t stop, then you are going to have to summon up all of your inner truth, all of your real feelings about the verbal abuse you receive each day, and walk out of this person’s life. If you have asked the abusive person to stop many times and nothing has changed, nothing will change. The abusive person will not stop just because you ask again. People who tell you to understand the abuser and to remain in the abusive situation seriously need to reconsider their statements. I would never guide you to take abuse or to tolerate it, not even for a few minutes. Verbal abuse comes in the form of snide remarks, put-downs, insults, degrading comments, forceful demands, controlling tones, and harsh words. As a woman who wishes to feel whole and complete on the inside so that your inner glow shows on the outside, you must leave the abusive situation. There is no other way. 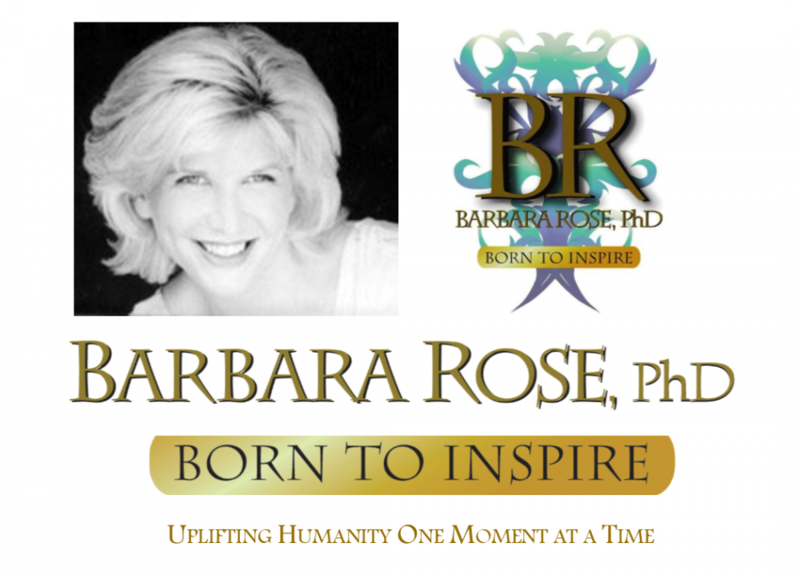 This entry was posted in Browse Relationships, Exclusive Book Excerpts and tagged Abusive Relationships, Barbara Rose, How to Stop Verbal Abuse, Know Yourself, PhD, Run Away from Abuse, Self Esteem, Self Love, truth, Zero Tolerance for Abuse by Barbara Rose, PhD |Born To Inspire | Bestselling Author| Life Transformation Expert. Bookmark the permalink.